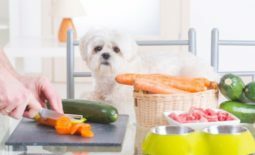 It is only natural that as fur-parents, we only want to feed our beloved fur-kids the healthiest foods but due to our busy lifestyles and work schedules, we can’t always have the time to prepare tasty and nutritionally-packed meals. 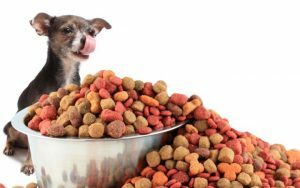 Thankfully, high-quality dog food is becoming more readily available for our pets. We can expect that these dog foods are formulated by nutritionists with the best interest of our pooches. Your dog reflects what you feed him, so if he is overweight and constipated, you need to change his diet. 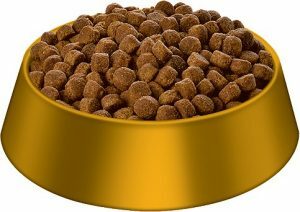 Dry commercial dog food differs in quality as much as it does at price. 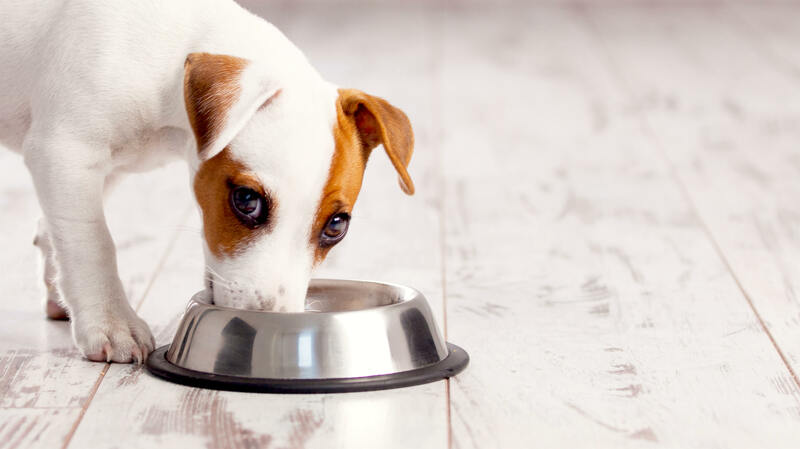 Although a number of dog foods can offer the basic nutritional requirement to keep Doggo fueled and satiated, feeding him quality foods ensures he is hale and healthy at all times. Since ingredients are listed by weight, you want a named protein source as the first ingredient in the list. It could be beef, chicken, lamb, turkey, venison, etc. Otherwise, you may be purchasing dog food with indigestible bulking agents. Shun away from “meat” or “poultry” as these signify low-quality protein source from vague sources. Dogs, although omnivorous, require an incredibly high percentage of muscle-building protein to keep themselves strong, vigorous, and agile. Whole meats have a high biological value and hence, these ingredients are highly digestible. 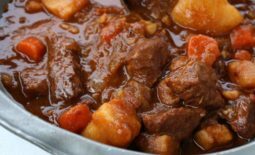 Don’t be alarmed if it includes meat meals, which are the rendered product of deboned meats and skin. Meat meals are a more concentrated protein source compared to whole meats since they no longer contain water. However, meat meals should also be named specifically: e.g. chicken meal, beef meal, etc. Otherwise, it may contain dubious animal parts including feathers, nails, hooves, and whatnot. You’ll never know! Dogs, which are omnivorous, need meat and vegetable components to keep themselves healthy. Fresh and wholesome ingredients that are added to the mix retain their vitamins, minerals, and other nutrients for the benefit of your pooch. If Doggo is often constipated, he can greatly benefit from a fiber-rich dog food. However, watch out for any specific ingredient that could trigger an allergic reaction or food intolerance in your pooch. If Doggo is allergic to grains, then it is best to avoid dog foods with rice, wheat, etc. 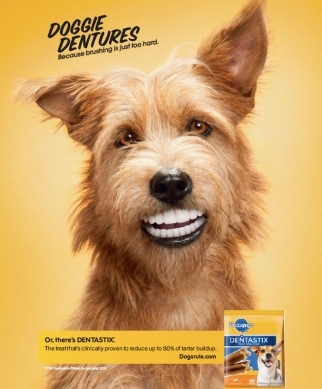 Likewise, make sure the ingredients won’t aggravate your pooch’s pre-existing health condition. If Doggo is diabetic, for instance, need to avoid simple carbohydrates that could cause a series of unpleasant side effects. 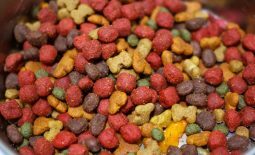 Make sure the dog food you choose is appropriate to your dog’s age. Dogs have varying nutrition requirement as they get older. You can’t give a zappy puppy some dog food that is formulated for the needs of a sleepy and less active senior dog. Regardless, there are dog foods designed for all life stages, which are particularly appealing when you have multi-age furry housemates to feed. 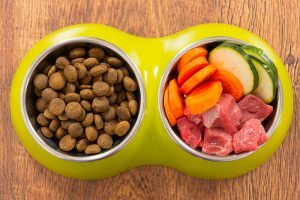 Although this may seem all right for some households, know that some of our pets require specific nutritional needs. The shorter the shelf life, the better. The best tasting dog foods made with fresh ingredients have a shorter shelf life. These products use natural preservatives. As fur-parents, it is our responsibility to make the right choices for our fur-kids. So, always check the small prints on every dog food. Steer clear from kibbles with labels that could make your head spin! Instead, choose one that is made with simple, wholesome ingredients. If Doggo won’t eat it and tries to make you feel guilty with those big sad eyes, you can always tweak the ingredients a bit by adding chopped sausages or a slice of roast beef!